What it is: A regenerative hair masque that claims to restore hair up to 100% in 60 seconds leaving nourished and visibly brighter tresses. Beauty bonus: This product worked to leave our tester's overly processed hair soft and with fewer flyaways. Beauty bummer: The product label recommends using 2-3 times per week for optimal results, a recommendation which is hard to abide by if you don't wash your hair every day. Overall: Wow. 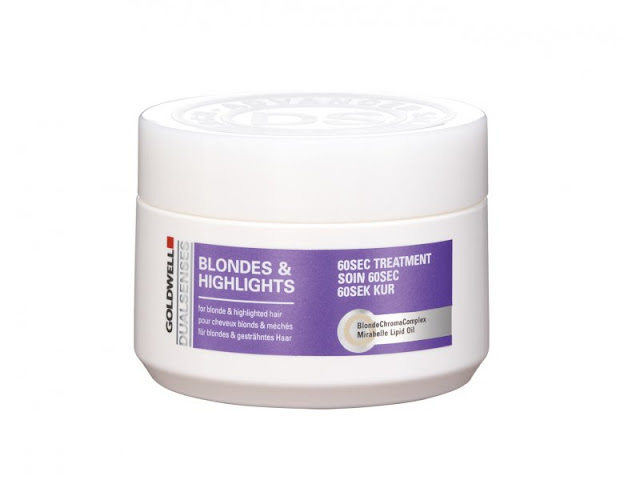 The Goldwell Dualsenses Blondes & Highlights 60 Second Treatment hair masque may be the elusive hair recovery product we've been searching for. It was truly transformative on dry, highly processed and brittle hair. The masque did not leave a heavy buildup on our tester's locks, and left hair shiny and bright. Would recommend: YES - If you're battling frizz and extreme dryness, definitely give this product a go. Price: Approximately $20 at salons. Tested by Covet and Acquire beauty guru Kirsten Harris.